Omg! This Iconic Clothing Shop In Egmore Has All Kinds Of Lucknowi Outfits And We’re Loving It! Lucknowi Creation In Egmore’s Alsa Mall is iconic. Since the last thirty years, Rajni Rastogi, the owner of the store has been delighting Chennaites with his authentic and abundant lucknowi chikan work outfits for both men and women. 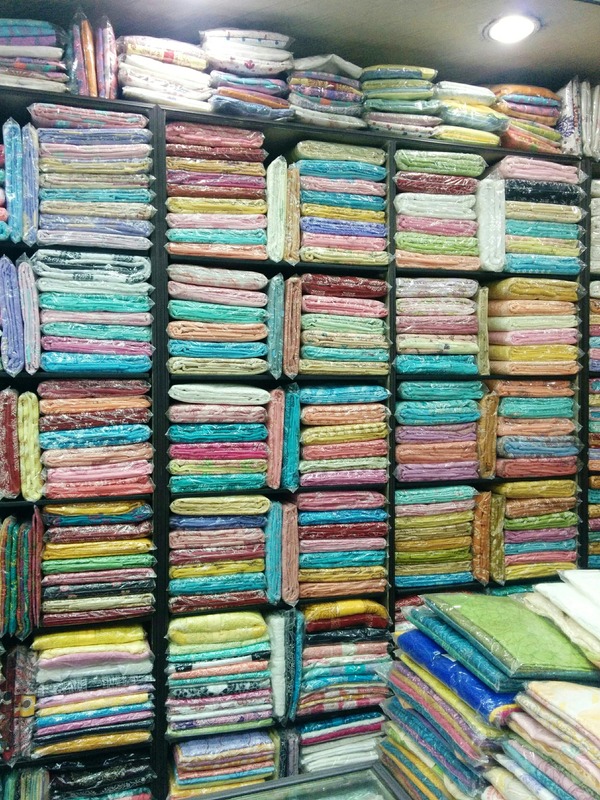 Garments in a rainbow of colours line every rack of this tiny store. While you find a lot of pastels for women, the men’s collection comprises of a combination of whites, ivories, and pastels. As for the outfit varieties, you get everything from sarees, salwars sets, and semi-stitched materials to kurtas, pants and more. The Lucknowi cotton silk sarees particularly won our hearts with their running, intricate chikan craftsmanship and the richness of the fabric. Pair them with a lovely crop top or raw silk blouses, and you’re sure to look like a model straight out of a designer's photoshoot. Prices for these start from about INR 1500. We also loved their silk short kurtas that start from about INR 1000 and make for great comfy casuals. Lucknowi Creation also has pretty kurta sets and salwars in georgette, semi-georgette (which is cheaper and doesn’t wrinkle up easily), silk, cotton, chanderi and more. As for the guys, you can find a variety of kurta sets, plain sets and even heavier outfits with dupattas. We particularly liked the cotton and linen kurta sets that are really soft and start from about INR 1500. The chikankari work and colour choice of the embroidery specially give a regal touch to the silk kurtas here that start from about INR 1000. As for the sizes, they are certainly not a problem at Lucknowi Creation. With multiple sizes sourced straight from the manufacturing units, you can easily find the right fit for you here. They can also help you out with tailoring, if needed. We’re probably going to go there again. What about you?